Super Opportunity! Rarely available huge 10,452 sq. ft. lot backing onto Fraserview Golf Course! What an absolutely gorgeous setting! Spacious one owner home with gleaming hardwood floors throughout the 3 bedroom main floor. Full highbasement with 2 more bedrooms and a party sized recroom. Two cozy wood burning fireplaces. Enjoy the 434 sq. ft. sundeck that is half enclosed into a solarium. Attached double garage under the sundeck. Renovate or build your dream home. This incredible property also gives you lots of room to build a large lane way home. A nice bonus is the lovely walking trail around the perimeter of the golf course. 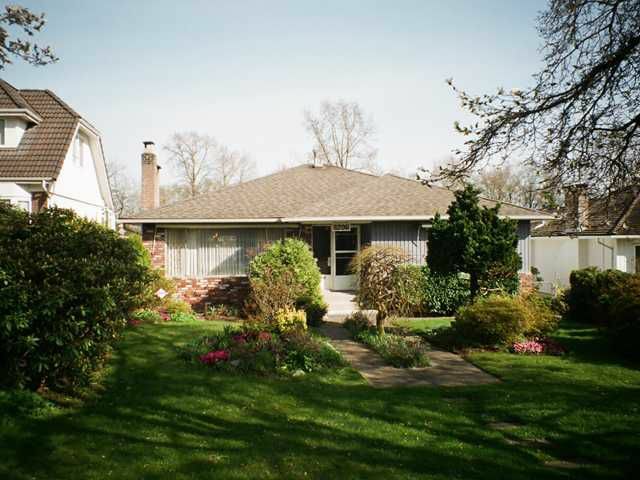 One of the most desireable locations in prestigious Fraserview. Truly unique! Excellent value!